A "naive" bid by Stagecoach and Virgin to run the Intercity East Coast rail franchise led to its failure, according to MPs. The Transport Select Committee said the two companies' assessment of the financial risk associated with their bid was wholly inadequate. It also says the Department for Transport (DfT) must take the blame for not managing the bid effectively. The rail franchise was taken back under government control in June. The joint venture, known as Virgin Trains East Coast (VTEC), 90% owned by Stagecoach and 10% owned by Virgin, took over the franchise in 2015. It estimated that revenues would grow by 10% a year, when in reality they rose by just 3%. The committee's report said: "There was very little resilience built into the bid by Stagecoach and Virgin and it bid for the franchise on very optimistic grounds. "This was naïve, and it should have been more aware of the financial risks involved." Transport Secretary Chris Grayling terminated the franchise contract in June this year and created the East Coast Partnership to take over the route. He said at the time: "Stagecoach and Virgin Trains got their bid wrong and they are now paying a price." However, Lilian Greenwood, who chairs the transport committee said: "The Secretary of State pointed the finger at Stagecoach and Virgin for getting their bids wrong, but the department is not blameless. The committee's report said the DfT had not conducted appropriate due diligence that would have spotted the weaknesses of the bid, while the structure of the bid process encouraged overbidding. Ms Greenwood added: "Even now, there is no concrete plan, nor timescales, for the interim operator of this franchise. "From our inquiry, we cannot be sure, and cannot reassure passengers or public, that the arrangements for the East Coast Partnership will more successfully overcome the systemic difficulties presented by the current set-up." The Department of Transport said it "carried out a rigorous assessment at the time the VTEC franchise was let in 2015 to ensure that the bid was realistic and in the best interests of taxpayers and passengers. "However, Stagecoach rightly took a degree of risk around their assumptions. The department is continuously improving its risk assessment process to reduce the likelihood of overbidding." A Stagecoach Group spokesman said it operated railways for the government for more than 20 years and had used the same "bold, ambitious and meticulous approach which delivered strong success in the past". "As the committee makes absolutely clear, there was no incentive to deliberately overbid and there was no taxpayer bailout in the unfortunate premature end to the contract. Most importantly, we are pleased the committee has supported our positive suggestions to reform franchising, including more appropriate risk-sharing, making the system more accountable and robust," he added. The London to Edinburgh line links London Kings Cross to the north of England and Scotland. Under VTEC the line made an operating profit of £240m a year and had 92% passenger satisfaction, one of the highest levels among the long-distance franchises on the network. Yet the profits was still not enough to cover the premiums it had to pay the DfT, which amounted to £3.3bn over the eight year life of the franchise. The line went into technical default in January 2018 and the contract was terminated in June. Virgin and Stagecoach made a loss of some £200m from the contract. It was the third franchise failure on this line since 2006. 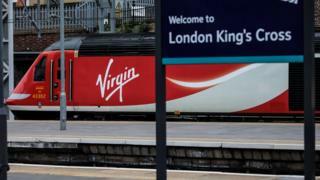 The MPs also exonerated Network Rail from any blame for the collapse of the franchise despite comments from Virgin's Sir Richard Branson that implied the franchise had been hit by delays to improvements to the rail infrastructure. The report said: "Network Rail does not bear any responsibility for the early termination of this franchise. To date, Network Rail have provided all the infrastructure upgrades that it had formally committed to when this franchise was let."